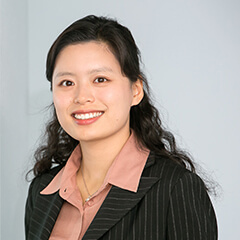 In her second blog post, our international "high mobility pool" member, Xingxie Wu from China, describes her current tasks and projects in the voestalpine Group. My second stop of High Mobility Pool was Böhler Special Steels (Shanghai) Co., Ltd. It belongs to the Special Steel Division and was acquired in May, 2013. Now the company is a sales company specialized in Bohler special steels: hot work tool steels, cold work tool steels, high speed steels, plastic mould steels and other special steels. Meanwhile, it also provides value-added service, such as: machining service, vacuum heat treatment & sub-zero treatment, tool steel selection consultation & relevant technical service. I worked in the operation department. The main target of my project was to improve the business process and set up KPI system for the company. It was exactly what I was looking forward to, because it was very close to the daily business and would help me to get an in-depth understanding of the industry. The voestalpine AG is seeking new participants (m/f) for the High Mobility Pool.